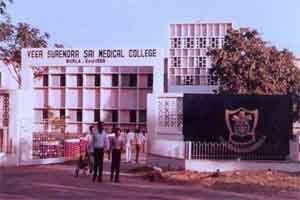 SAMBALPUR: Veer Surendra Sai Institute of Medical Sciences and Research (Vimsar) Burla has shut down its cardiology department in the face of doctor shortage. Till such time that cardiology appointments are made at this premier medical hospital in western Odisha, cardiology patients would be accepted in the medicine ward of the hospital. The Department of Cardiology should have one Professor, one Associate Professor, two Assistant Professors and three Senior Residents. Presently affairs of cardiology are being managed by by Prof Suresh Sahoo, Associate Prof Sunil Sharma, Assistant Prof. Bijay Das besides one doctor from Medicine, Dr. Ajay Kumar Rout. Sharma admits to them already struggling with staff shortage. According to him giving admission to indoor patients would begin reflecting on the sad state of affairs in the cardiology wing of the facility. He admits that it is essential for emergency patients to get admitted in the ward and remain under the supervision of a doctor. “It is not possible to admit patients in the indoor department which has 20 beds with only two doctors,” he said while talking to the TOI. However, in the absence of cardiology appointments, the hospital is left with only one option, that of referring serious patients to SCB Medical, Cuttack. Superintendent VIMSAR, Braja Mohan Mishra says,’ higher authorities have been apprised of the crisis and requested to post Cardiologists immediately,’ as reports The New Indian Express. A social organization delegation, Progressive Sambalpur, on Wednesday called on the Superintendent of VIMSAR, demanding cardiologist appointments.. “It is shocking that the cardiology department of Vimsar is facing acute staff shortage. If the government does not take appropriate steps to appoint cardiologists, we will resort to agitation,” says Convener , Sanjit Mohanty.